B1803. John F. Cone. 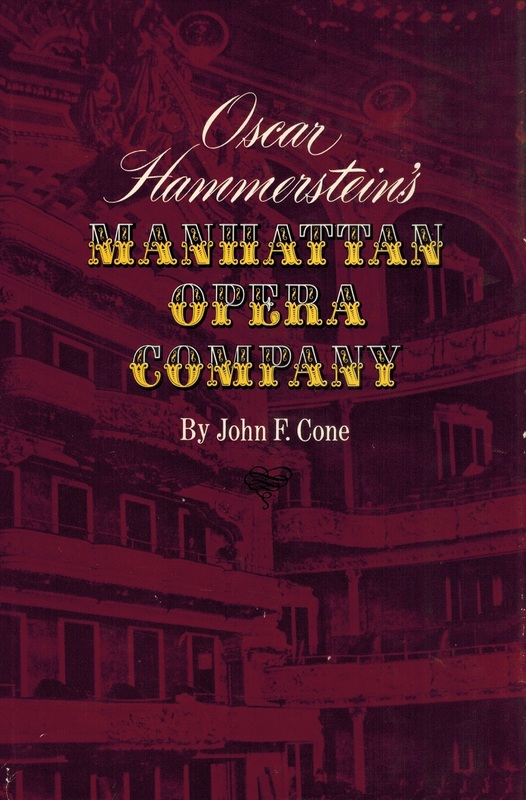 Oscar Hammerstein’s Manhattan Opera Company. Norman, OK, University of Oklahoma Press, 1966. 399pp. Index; Bibliography; Annals of Casts, 1906-10; Photos; DJ. "Full story of the greatest opera war in the United States in which Hammerstein and his dedicated artists successfully challenged the entrenched Metropolitan Opera with its representatives of wealth and social position. From 1906 through 1910 this impresario's opera company was one of the finest operatic institutions in the world. 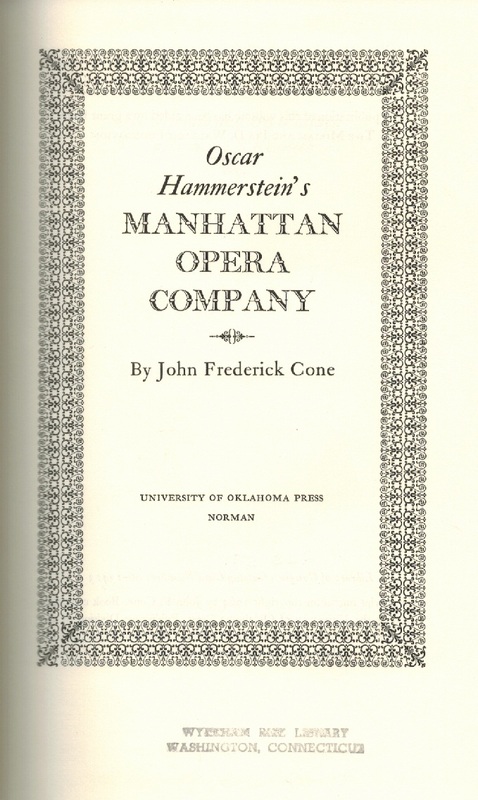 Appendices give full details of all opera casts for performances in Manhattan, Philadelphia and all tours."